For awhile I've been wanting to flex my graphic design skill for t-shirts and other products. What makes this creative process interesting is, illustration has no limit on what you can create. But when you're designing for a t-shirt, you have to consider how they're going look on an end product, so you have to work with in a set parameter. It's a completely different sandbox than illustrating, opening up to new visual abstracts. 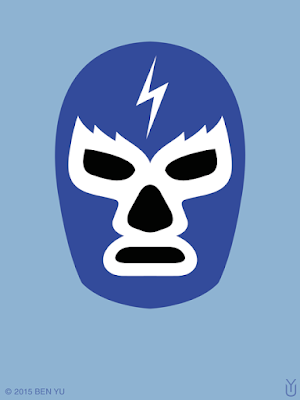 Lucha Libre Thunder t-shirt is available for purchase.